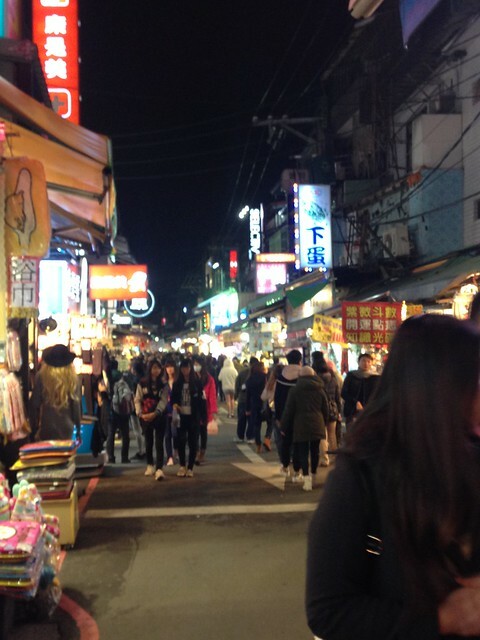 Taiwan is the place to be for night market shopping. Every city has its own share and area intended for that purpose! 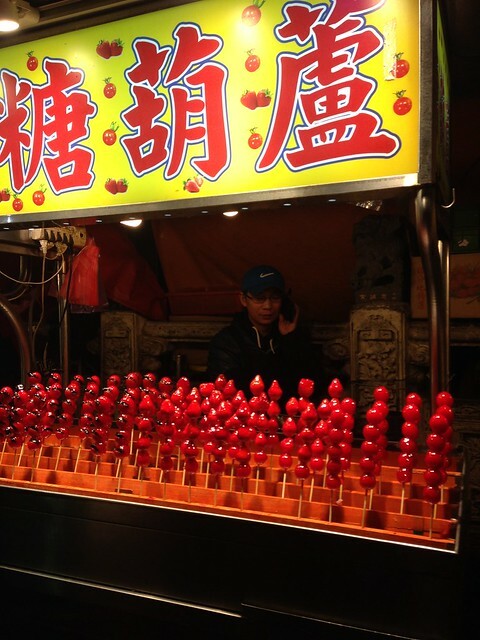 When we were in Taichung and Tainan, we were also enticed to stay to check what their night market looks like. But we declined since we had many appointments the next day in Taipei and we don't want to get late. We mean business when we talk business! You see, in business, Filipino time (meaning late) is not applicable! 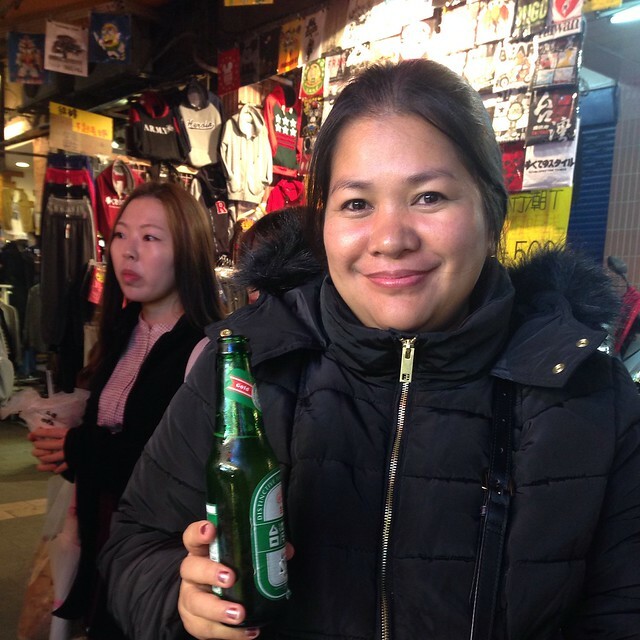 Anyway, in Taipei - the best place to be for night shopping market is SHILIN. For Taipei Main Station, take the RED Line to Danshui. 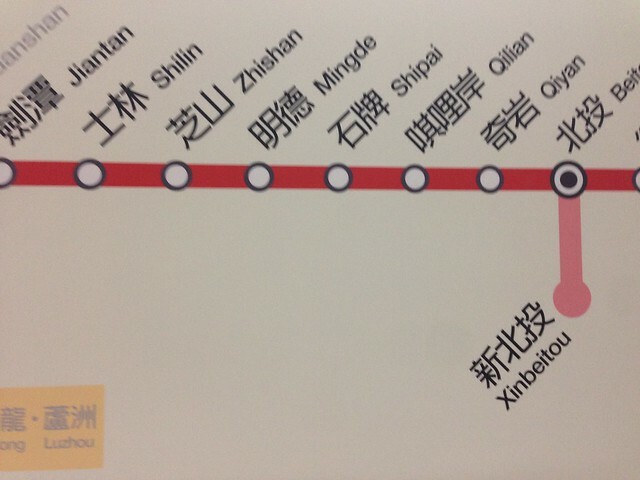 Dont be mistaken, you must get out at Jiantan Station (5 stops), instead of Shilin! 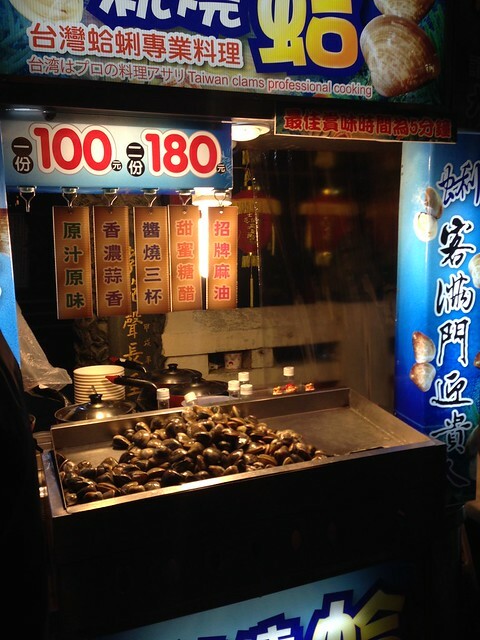 At Jiantan station, there are several signs leading you to Shilin Night Market. Just a mere 5 minutes walk or even less leads you the the entrance of this market. From the station, out in your left, cross the street and VOILA! 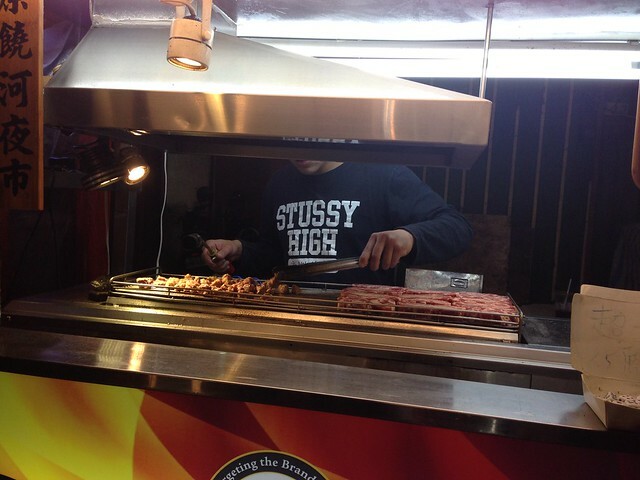 SHILIN. We were not as ecstatic and excited as our first visit 3 years ago. We had our share of shopping already before going to Shilin. 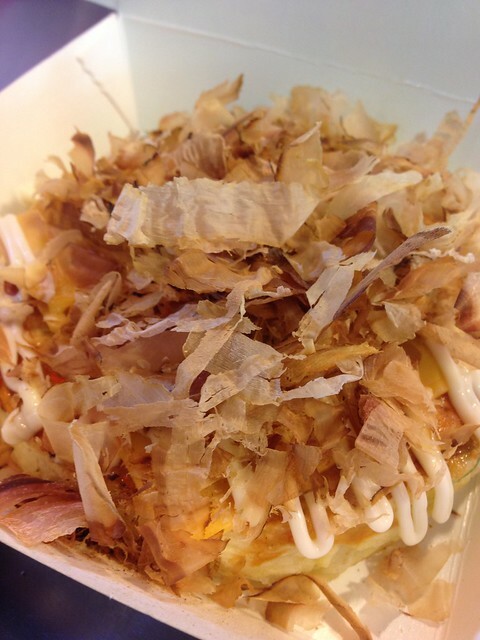 The reason we went there is to try the street food. Our first stop - the fruit stand! It's always nice to taste the fruits raised in the other parts of the world. They may be called mango, guava, papaya, but I tell you - the taste is different! 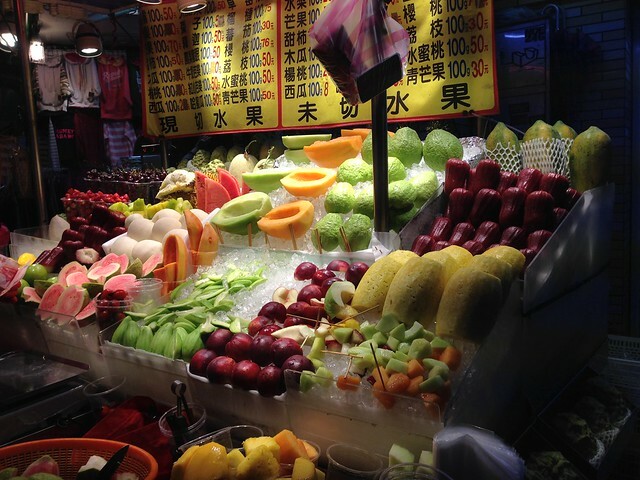 There is a distinct taste that separates from the fruits in the Philippines! Welcome to Shilin! It looks like our DIVI but organized, clean and safe! 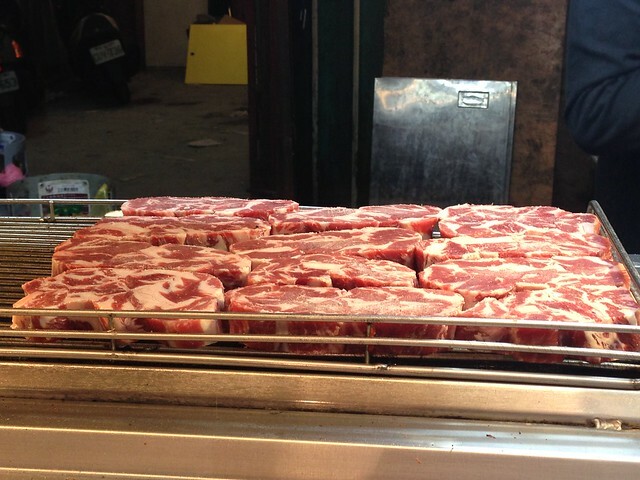 The products are reasonably priced especially if you buy in bulk! I bought Taiwan printed shirts and some small souvenirs eg. keychains, ref magnets, can openers for the office staffs. 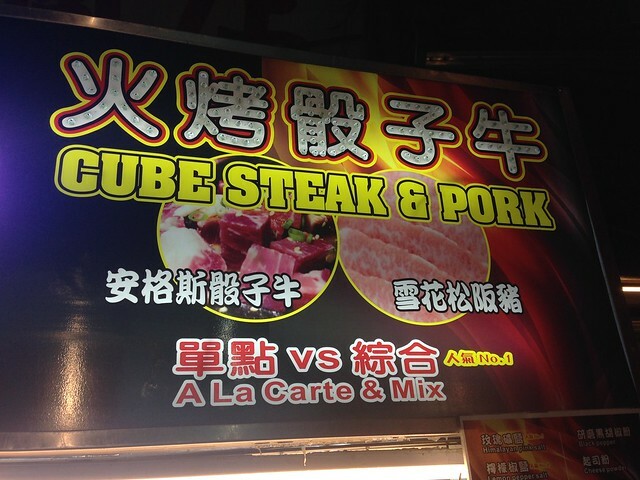 My favorite street food here - Cube Steak. 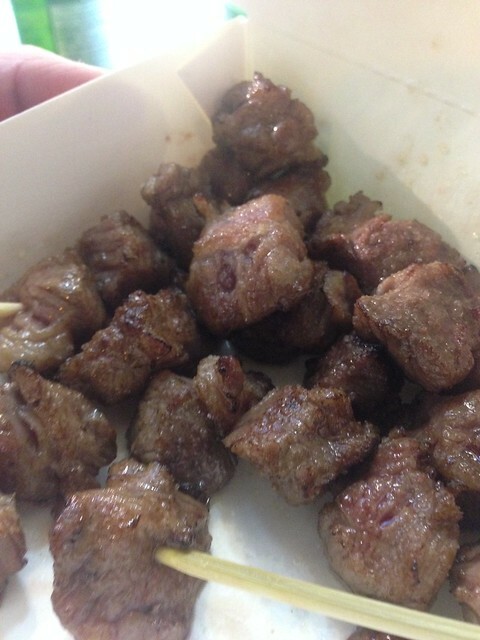 These are the cube Angus beef. 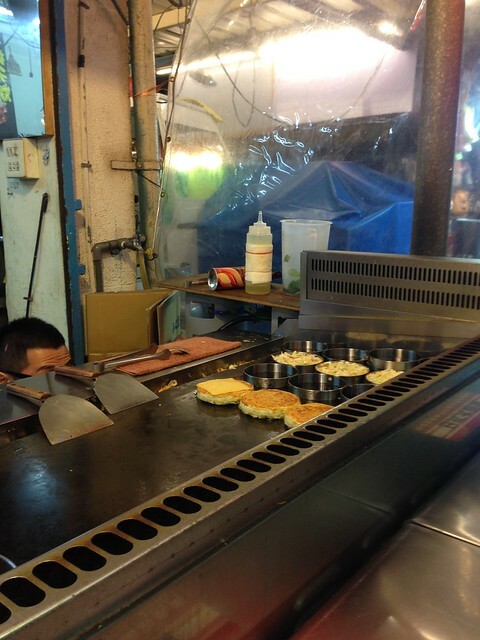 We tried to look for the popular Taiwan dish - Stinking Tofu but unfortunately, we couldn't find it! Damn! Better luck next food trip adventure! Cheers to more travels and food trips!